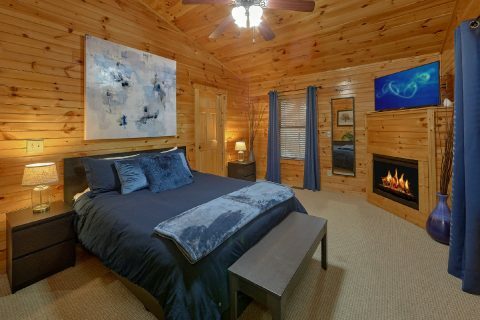 "I Love View," a luxurious, 2-bedroom Glades Gatlinburg cabin rental, provides vacationers to the Smokies with all the comforts of home and more. 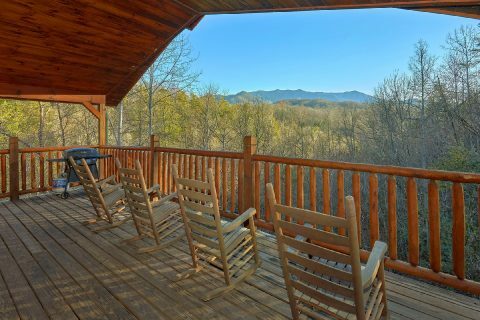 This comfortable Gatlinburg cabin with a home theater boasts some of the most fantastic views of the Tennessee Smoky Mountains from your cabin's large decks. 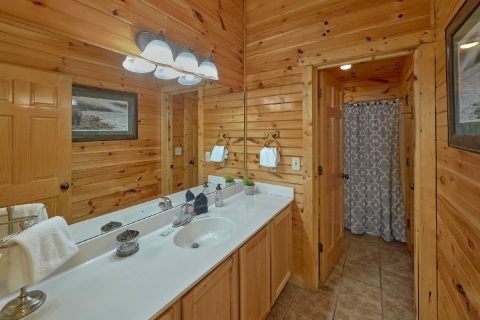 Imagine yourself basking in the warmth of your family-sized hot tub as you peer over some of the most fantastic sunrises and sunsets in the Smokies. 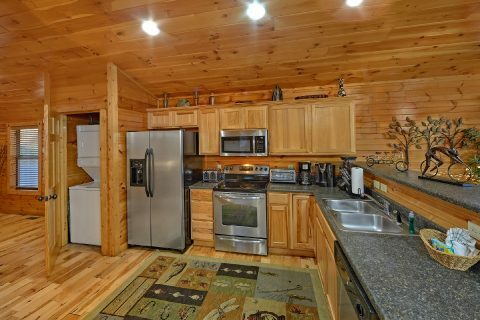 Your Gatlinburg Glades area cabin provides family members with easy access to unique local artisan workshops, roadside cafes, bakeries and more. The Glades Arts and Crafts Community is just 3 miles from Downtown Gatlinburg. 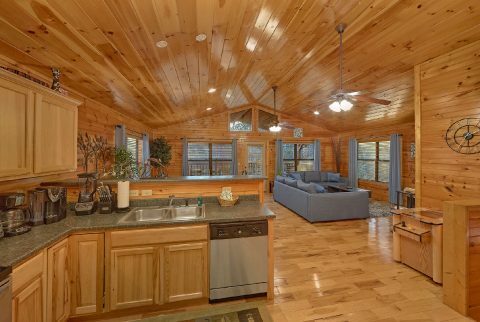 Aside from your Glades cabin rental's breathtaking views and convenient location, this Gatlinburg cabin with home theater has much to offer inside as well. 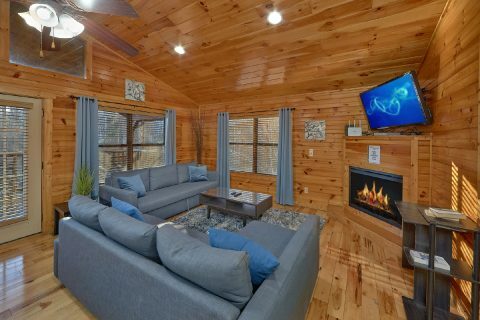 Behind the front door, a spacious living room with a large, flat-screen television, fireplace, and ample family seating awaits to provide your family with the comforts of home. 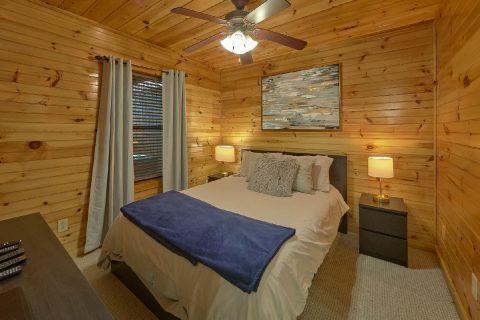 There are two bedrooms, one on the main level and the other on the lower level, with king-size beds and flat-screen televisions. 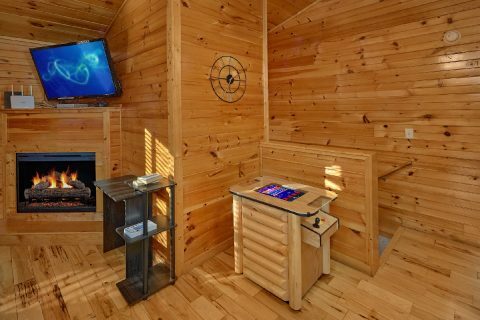 In addition, this cabin's WiFi access will keep your family connected so you can share pictures and fun memories with friends back home. 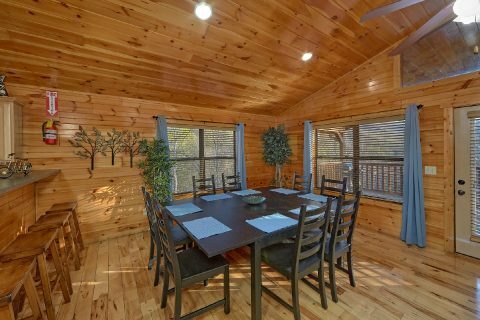 SAVE family vacation dollars for even more fun in the Smokies by using your cabin's large family dining area and fully equipped kitchen for preparing everything from holiday meals to anytime snacks. Your charcoal grill allows you to enjoy evening cookouts in the mountain air. 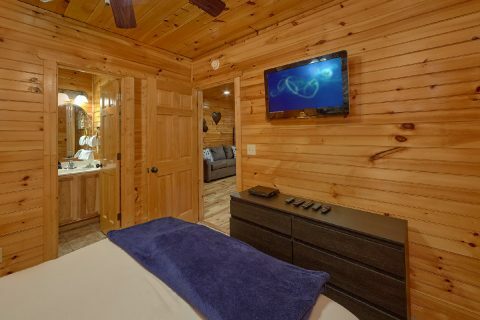 This Gatlinburg cabin with a home theater offers your family the full movie theater experience in a private setting. Gather your family and watch action-packed movies with hi-quality surround sound. 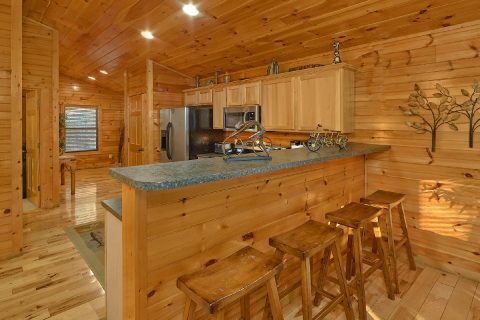 Be sure to make plenty of popcorn and sweets to enjoy with the movie at your Glades Gatlinburg cabin rental! 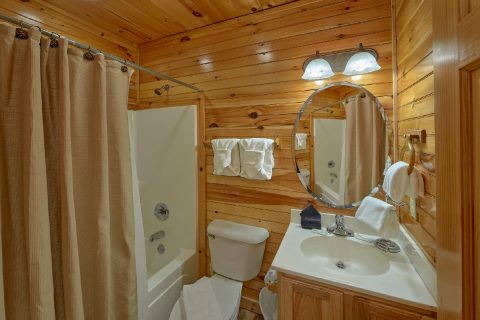 Book your Glades Gatlinburg cabin rental online with Cabins USA Gatlinburg for an immediate Online Cabin Discount and start your cabin vacation in the Smoky Mountains of Gatlinburg!